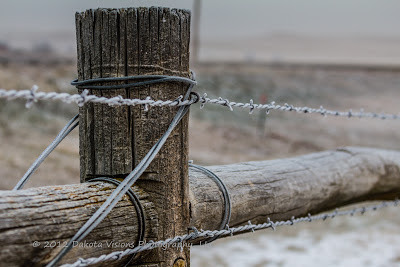 See You Behind the Lens... : Leading Lines and Hoar Frost - Oh My?! What better to find during the beginning days of winter then some hoar frost in the morning and some leading lines to go with it! Oh my, that did sound like a photographer - didn't it?! Well, the end result was worth it. We hope you enjoy!